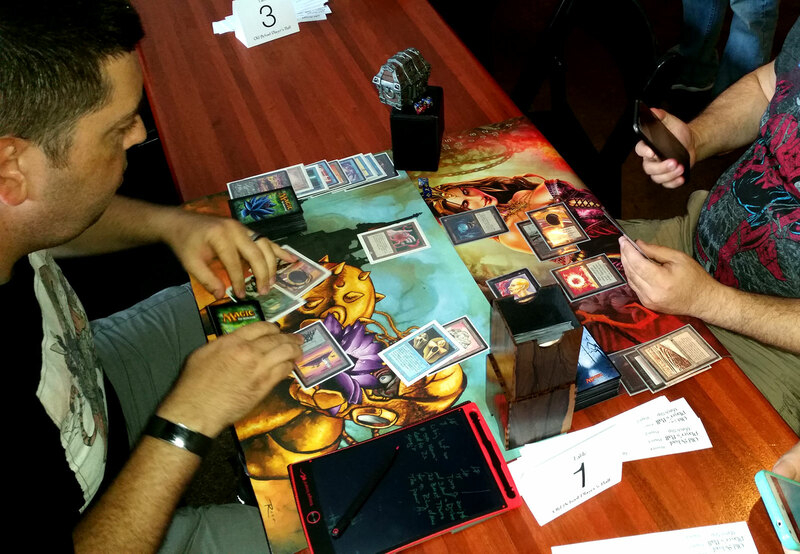 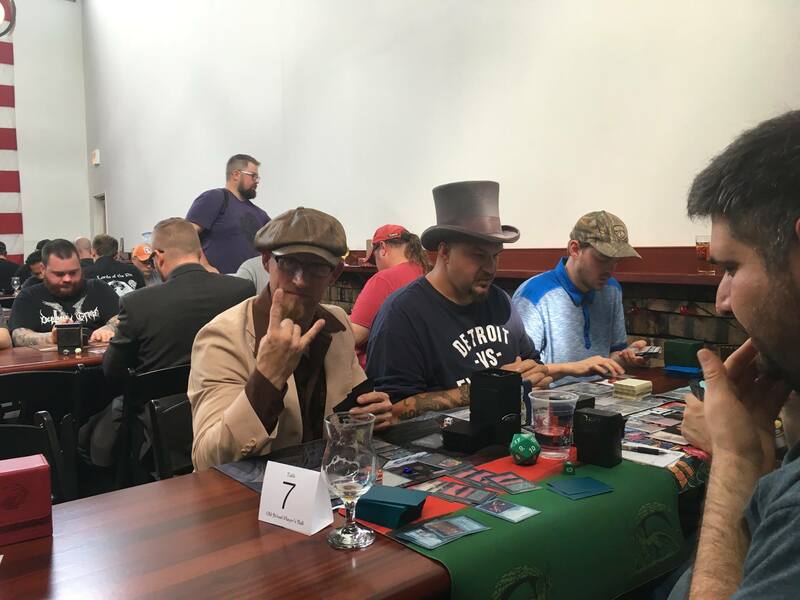 The first annual Old School Player’s Ball has finished, and was an incredible day for the community. 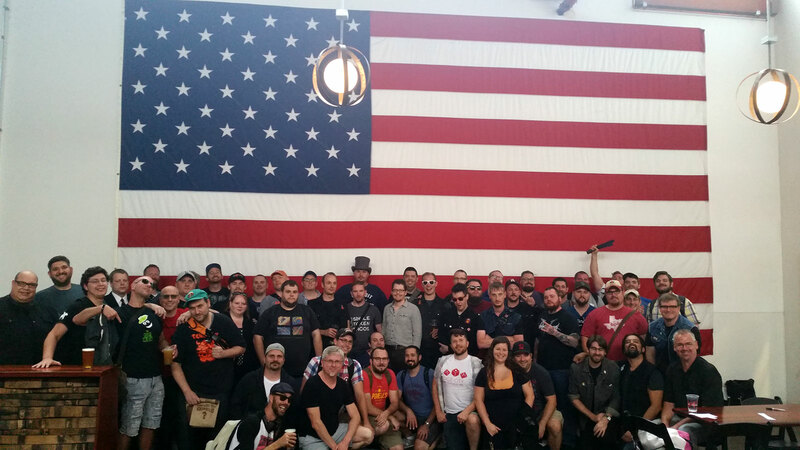 With road warriors hailing from California to Texas to Wisconsin to Tennessee to Maine, and everywhere in between, 58 ballers showed up to battle. 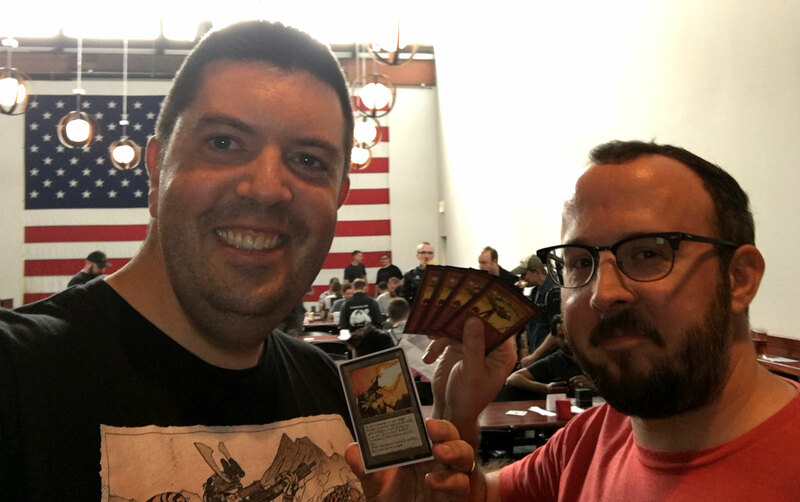 This will probably go down as the third largest Old School 93-94 event in 2017, and we were filled to our capped registration limit immediately, even after expanding from 48 to 58 seats. 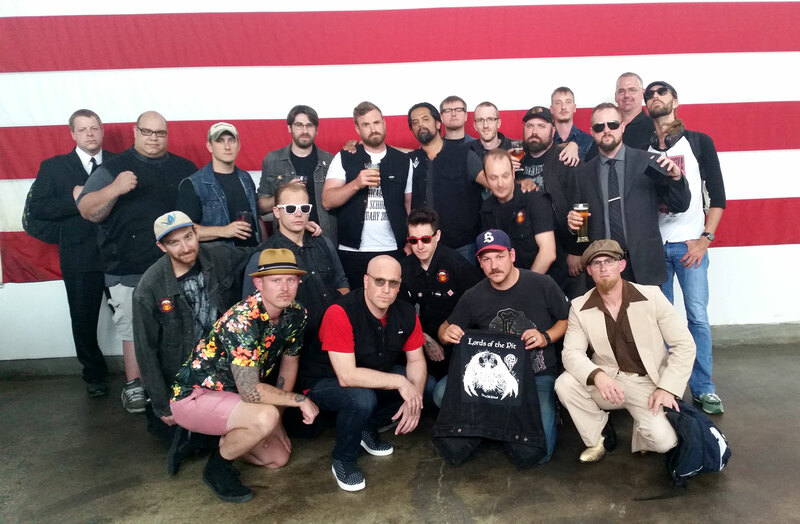 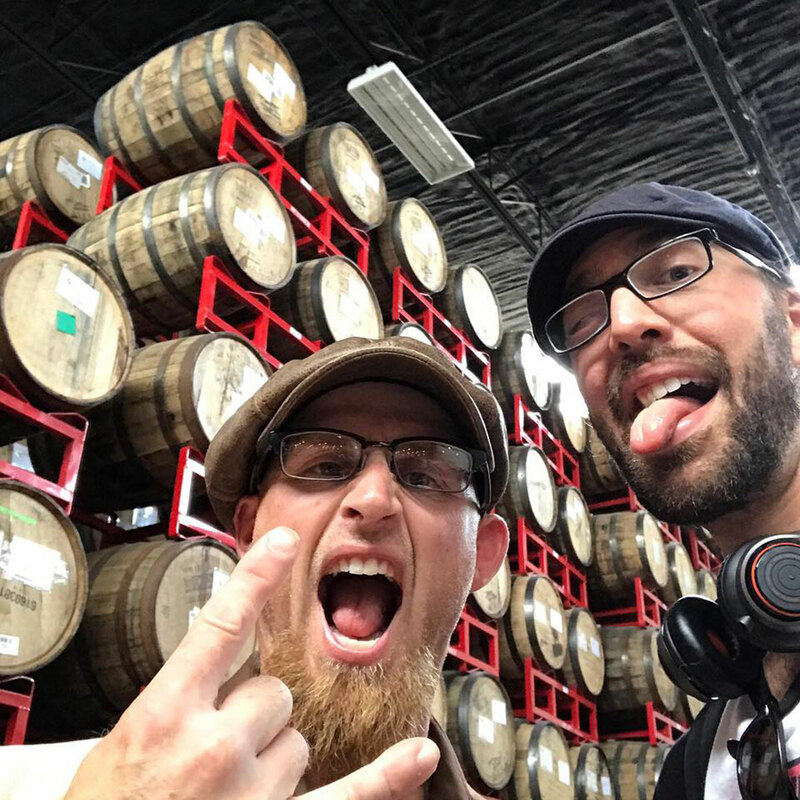 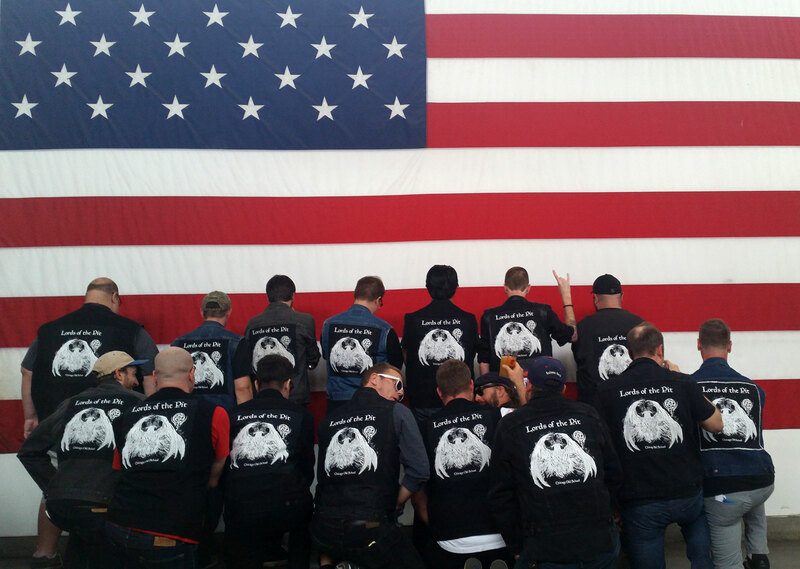 The Player’s Ball was held at Revolution Brewery Taproom, in Chicago (Illinois, USA), and was organized by Bob Agra and Chicago’s native crew, the Lords of the Pit. 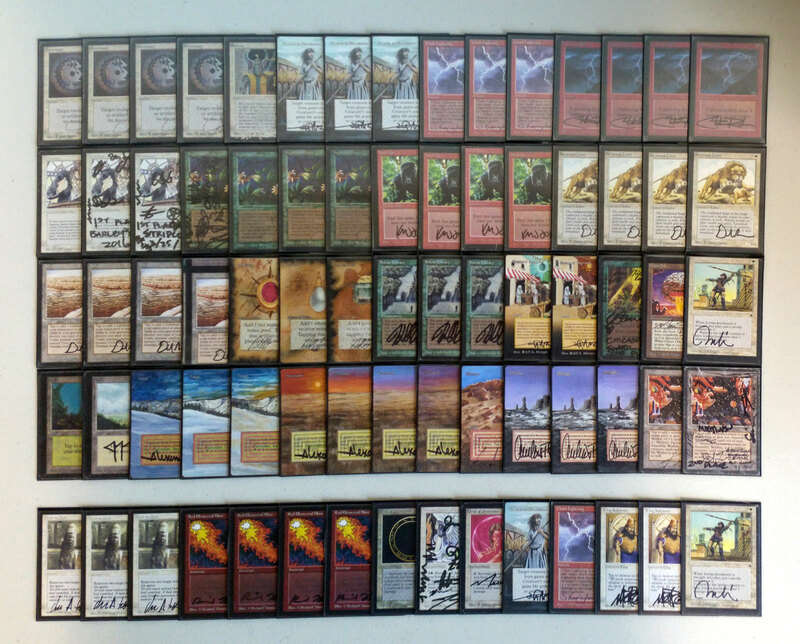 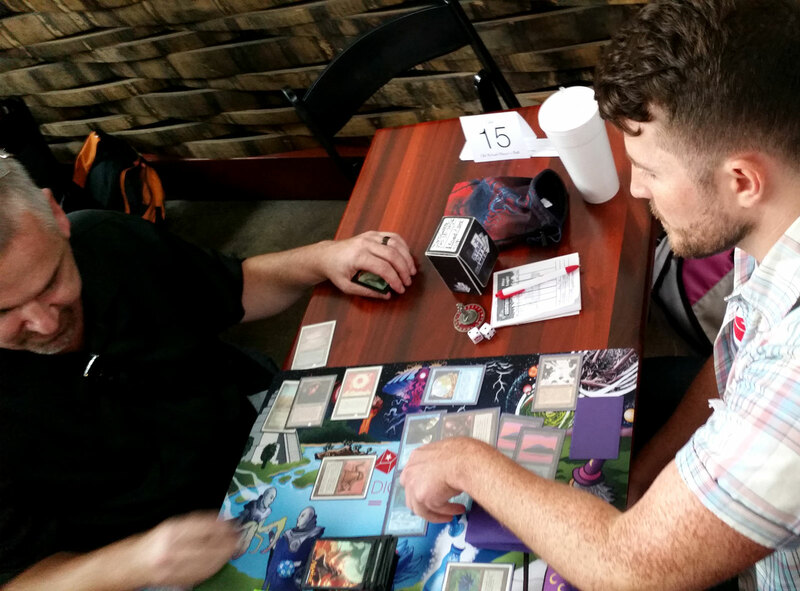 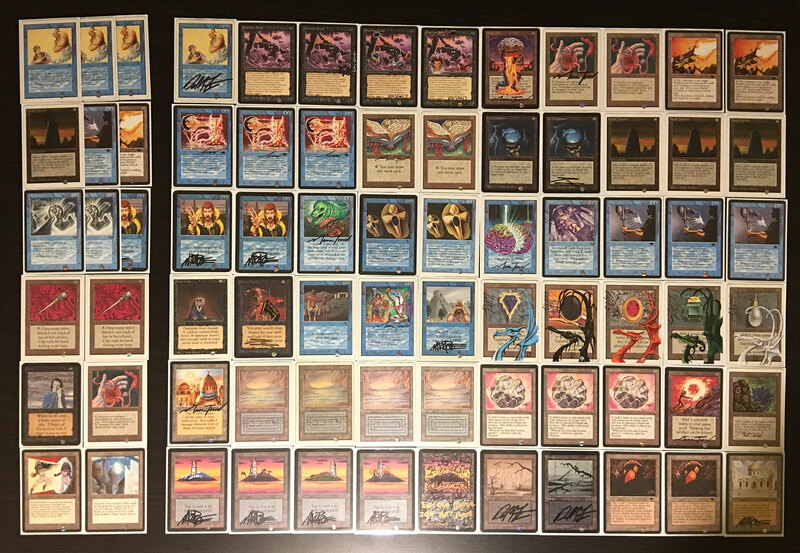 Eternal Central helped promote and support these efforts, and the tournament was able to raise nearly $1000 for charity (going to the Chicago Public Library Foundation, in this case). 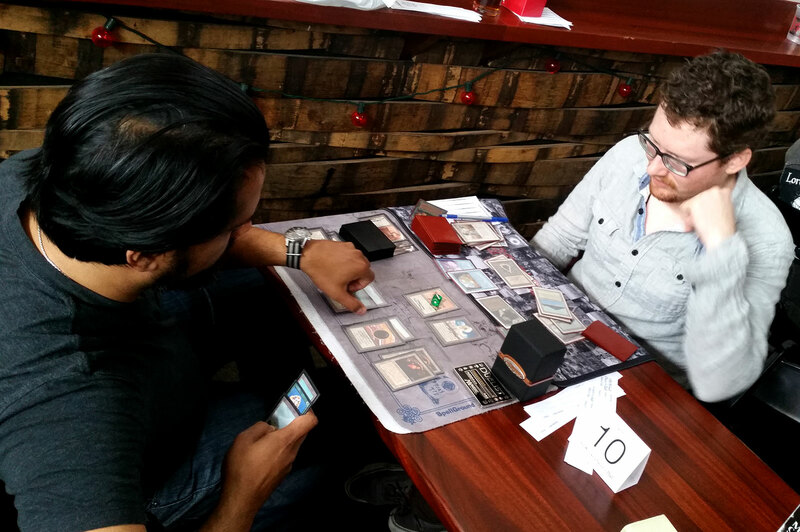 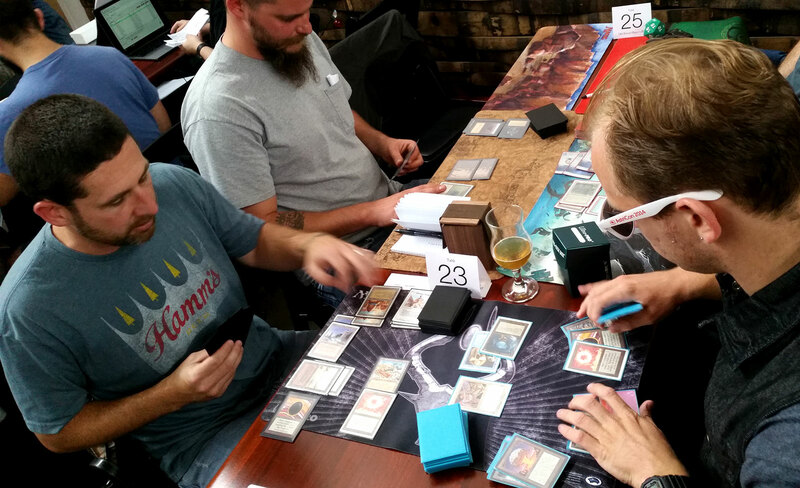 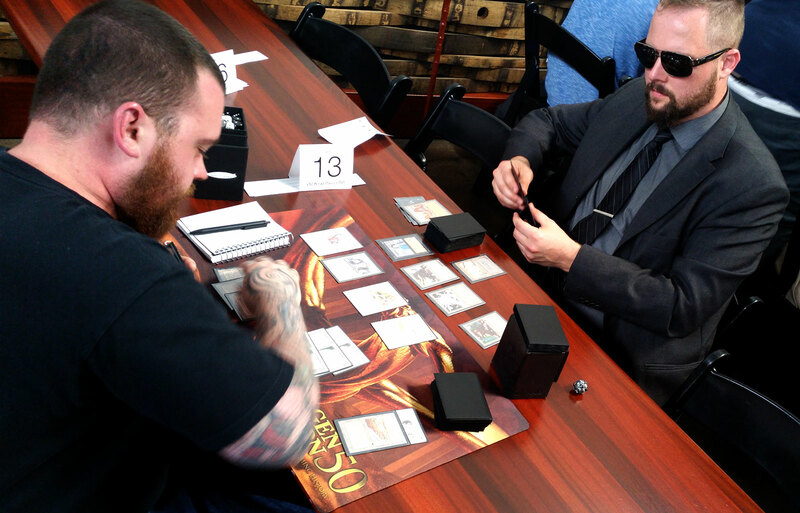 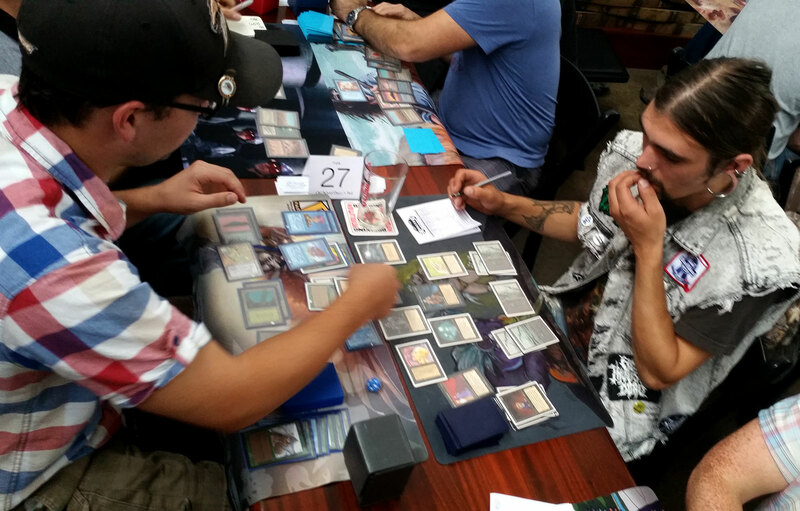 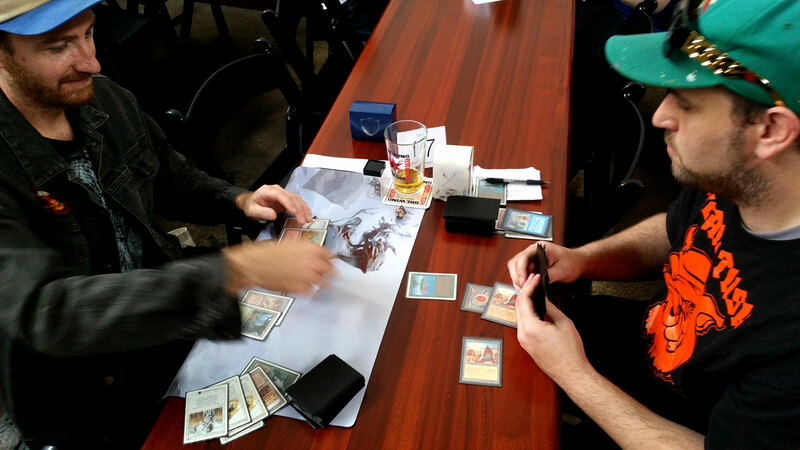 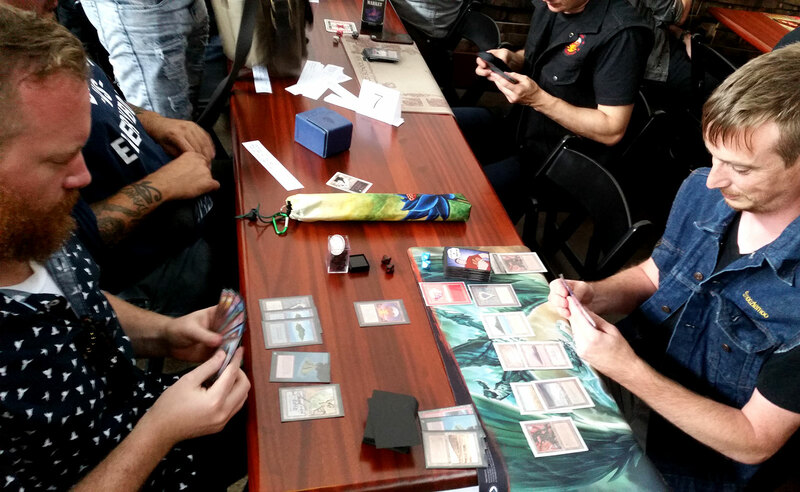 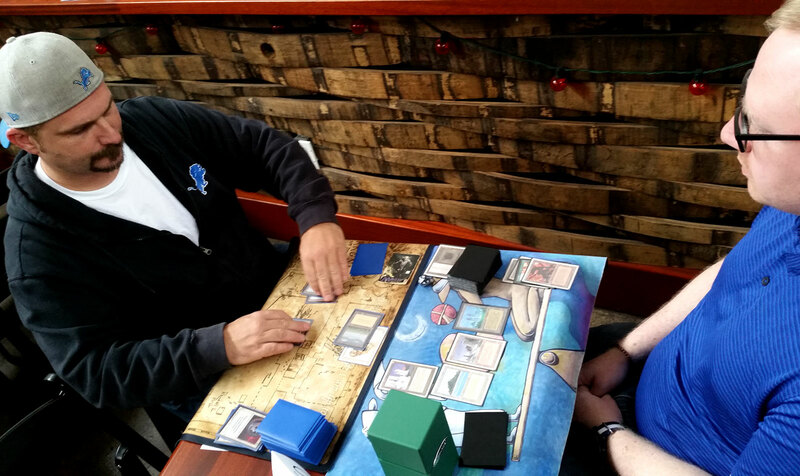 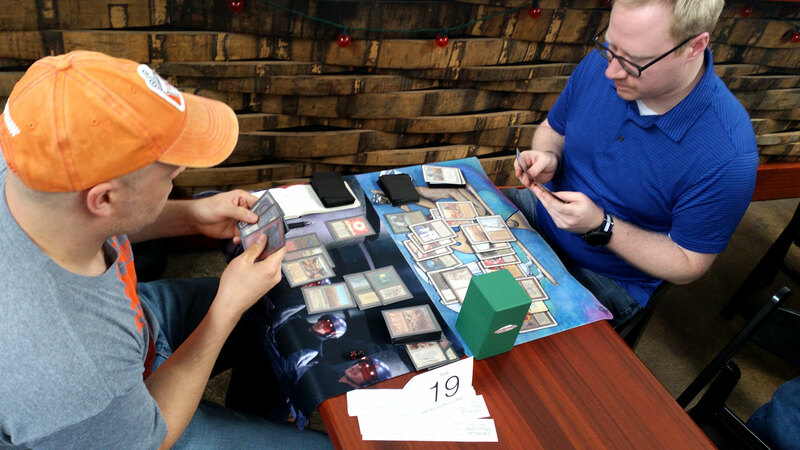 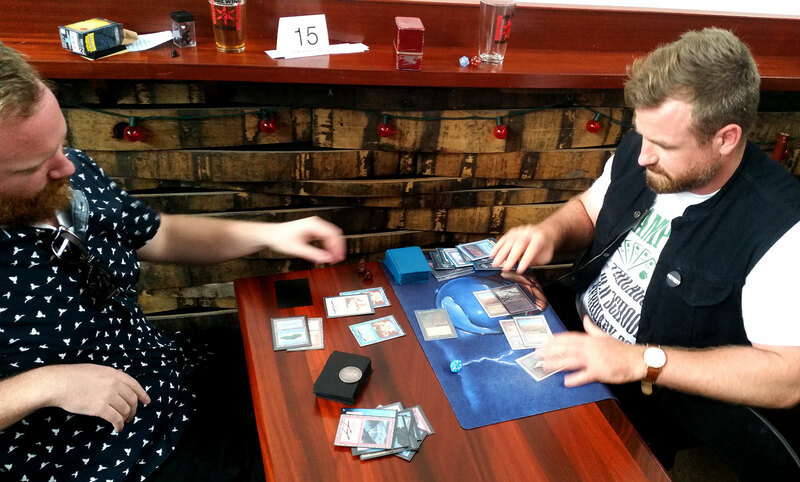 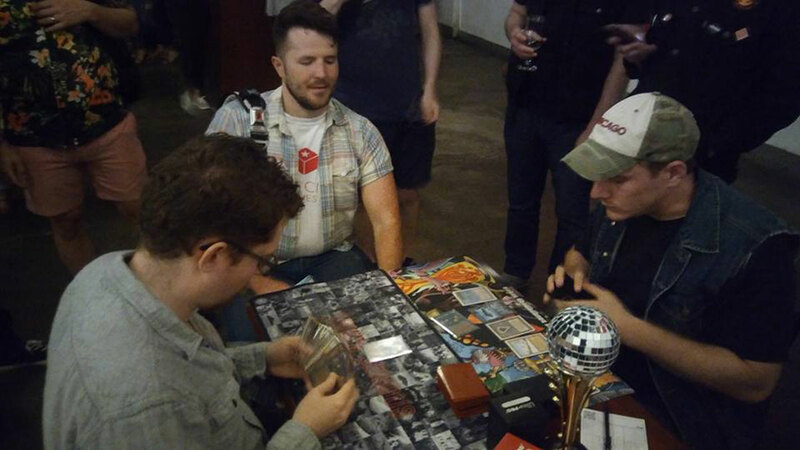 This was the first Player’s Ball held, and the plan is for the Player’s Ball to become an annual event each August in the summer, part way between NoobCon and Eternal Weekend’s Old School events. 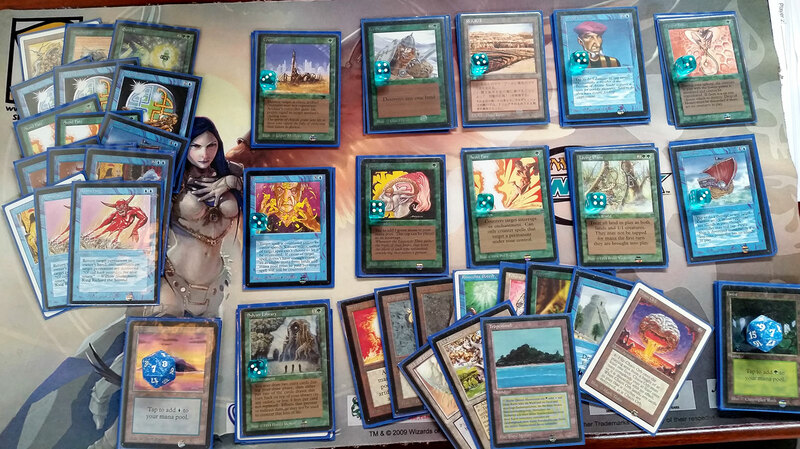 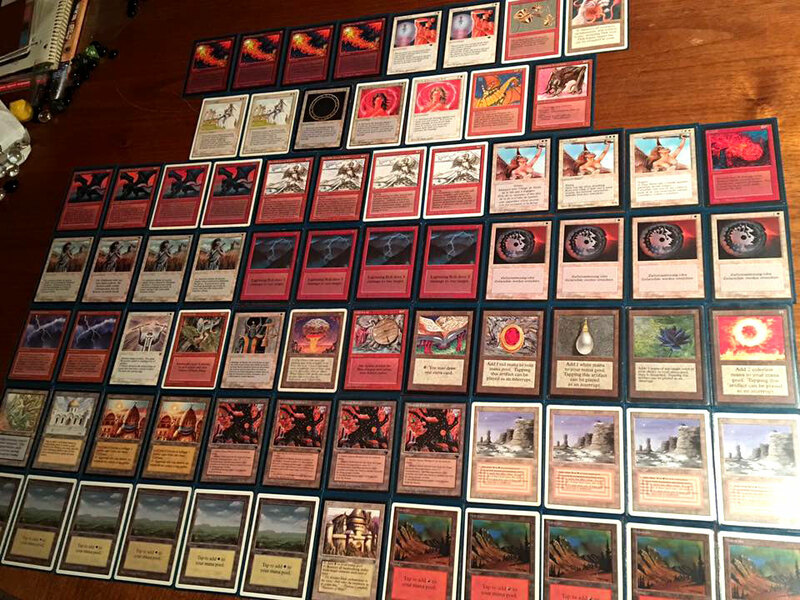 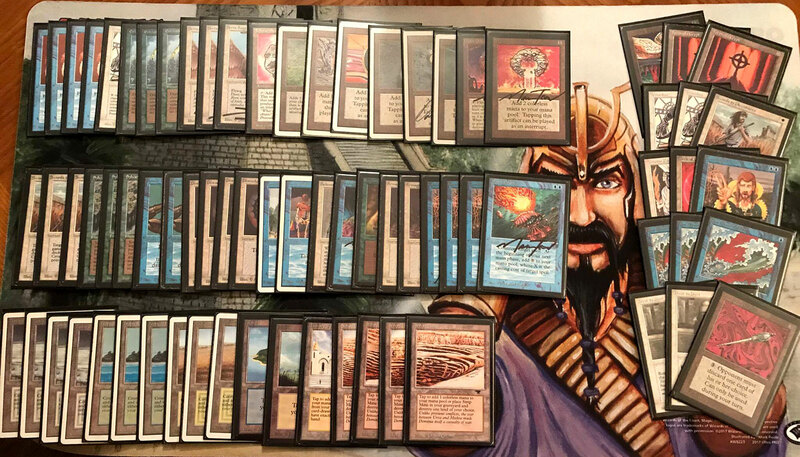 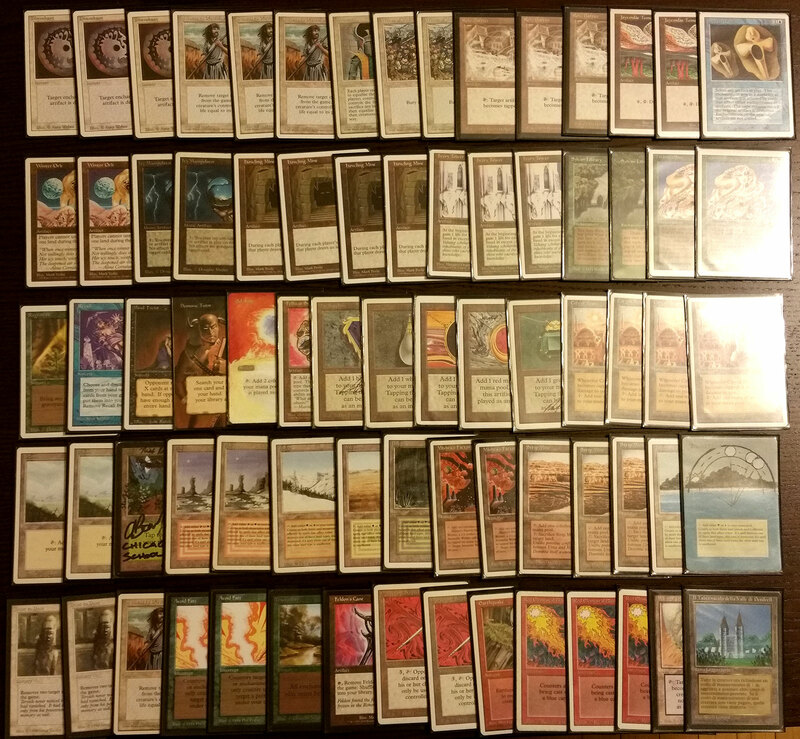 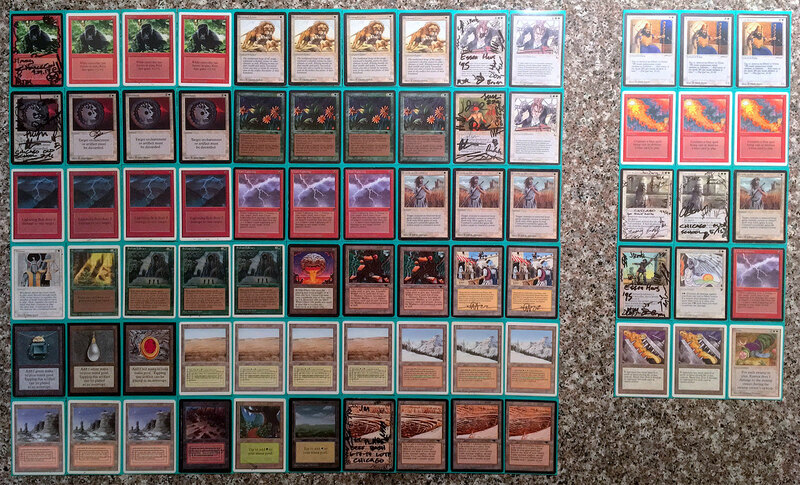 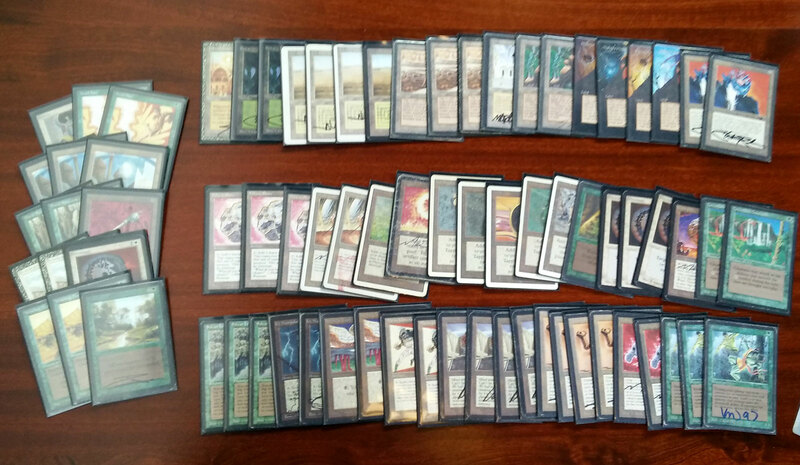 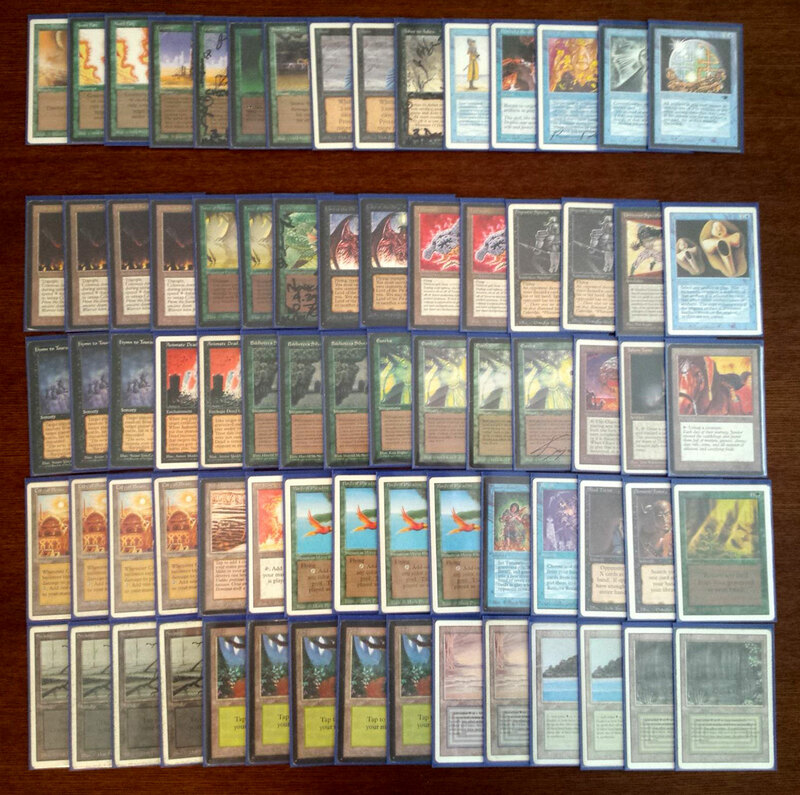 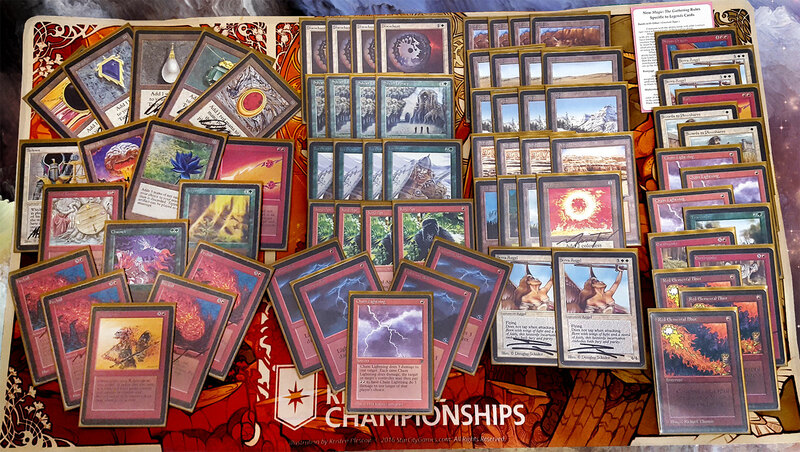 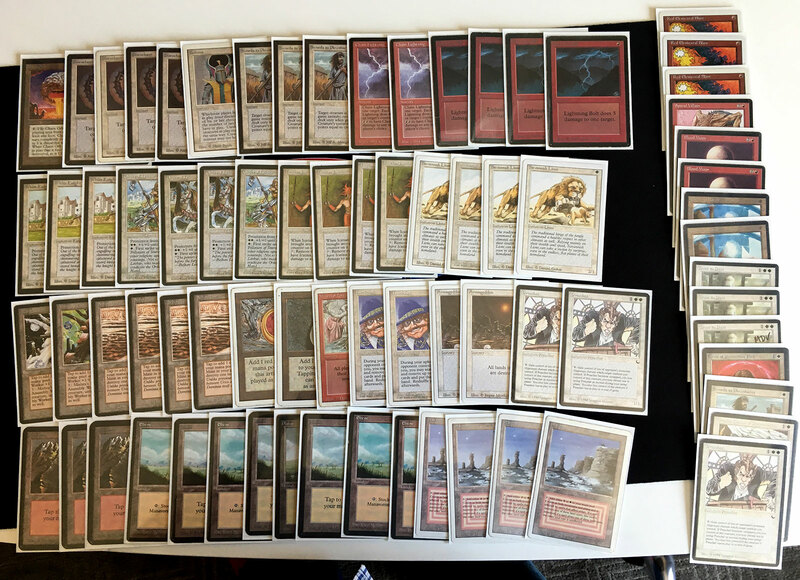 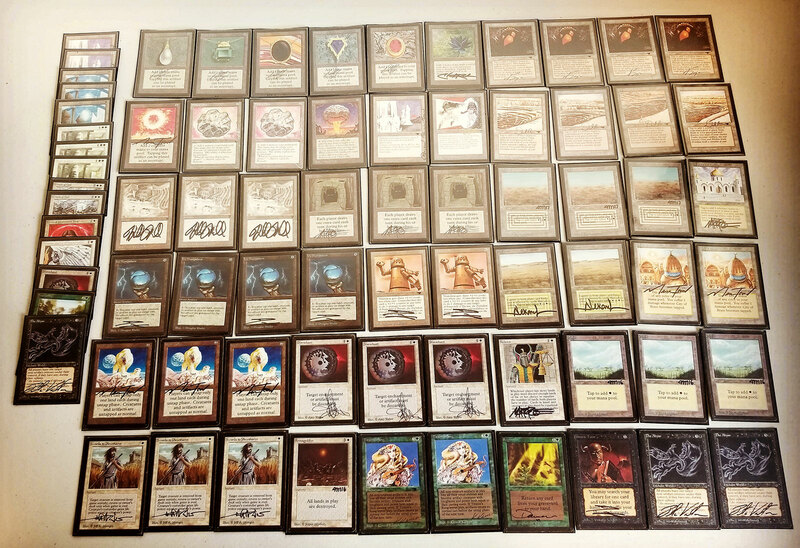 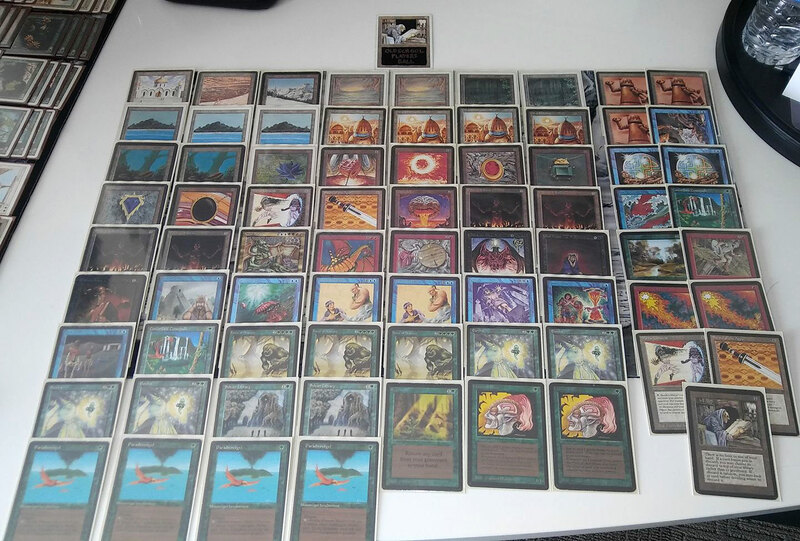 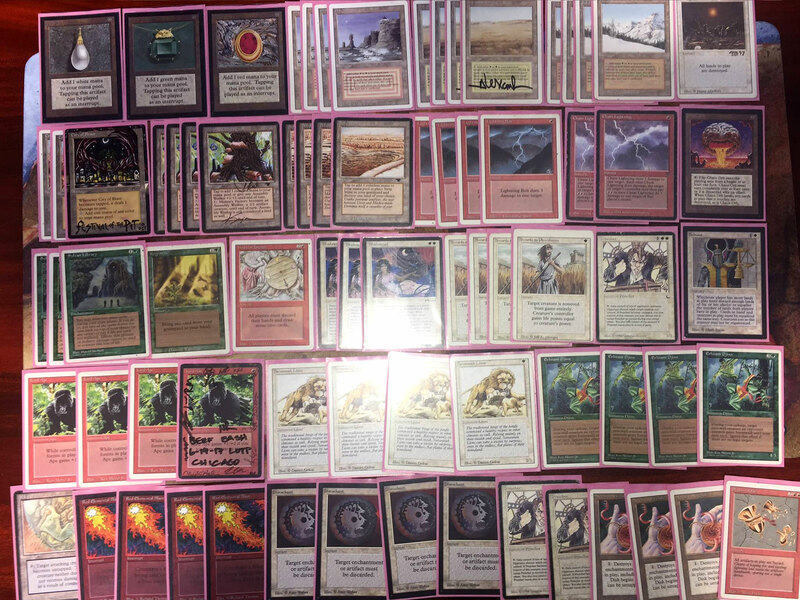 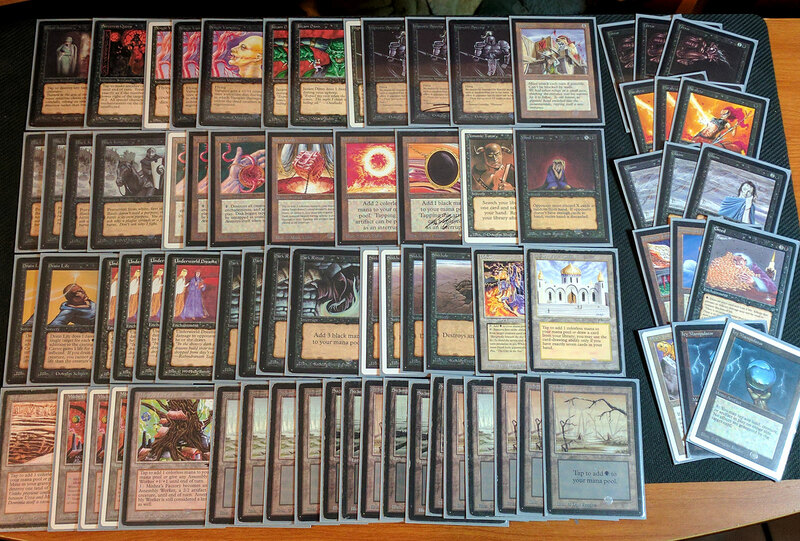 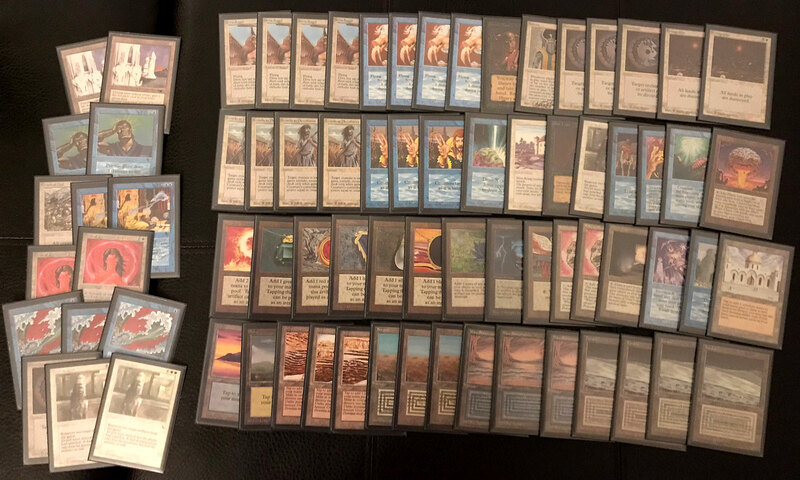 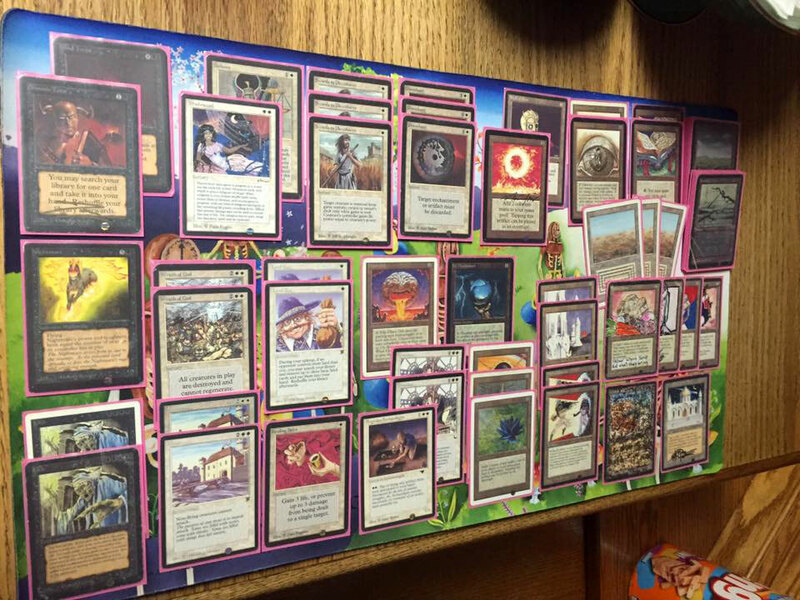 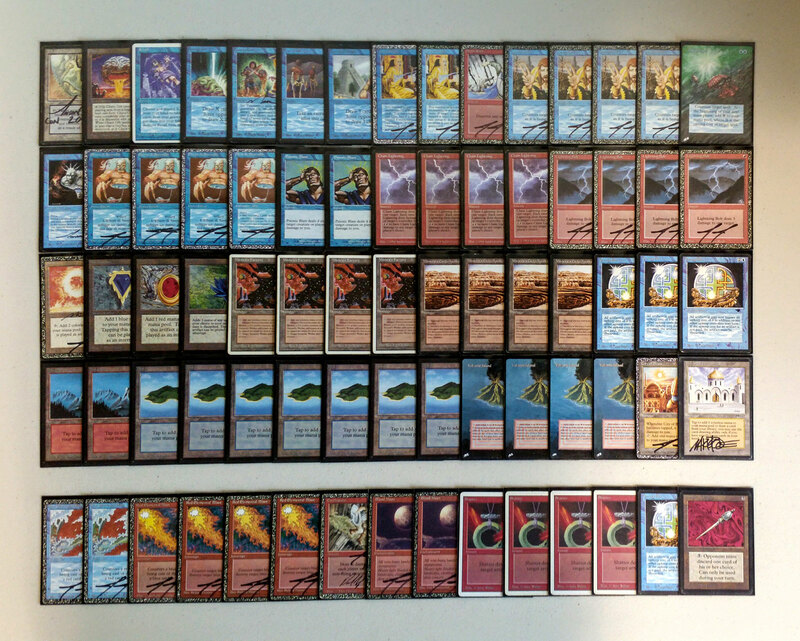 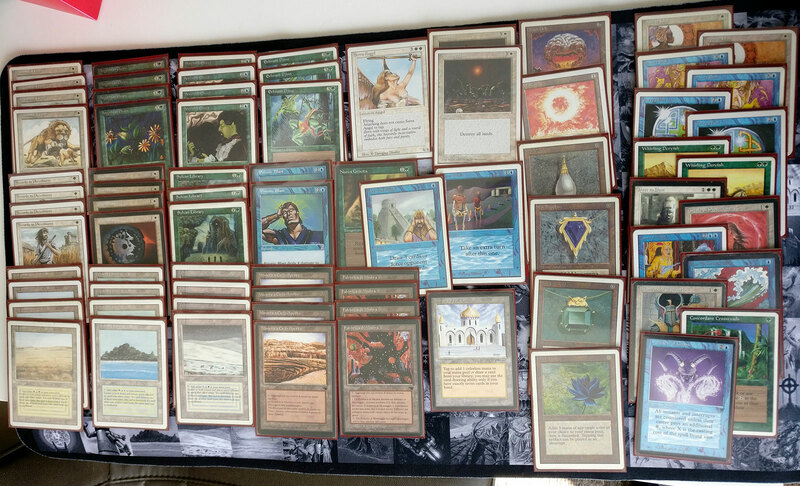 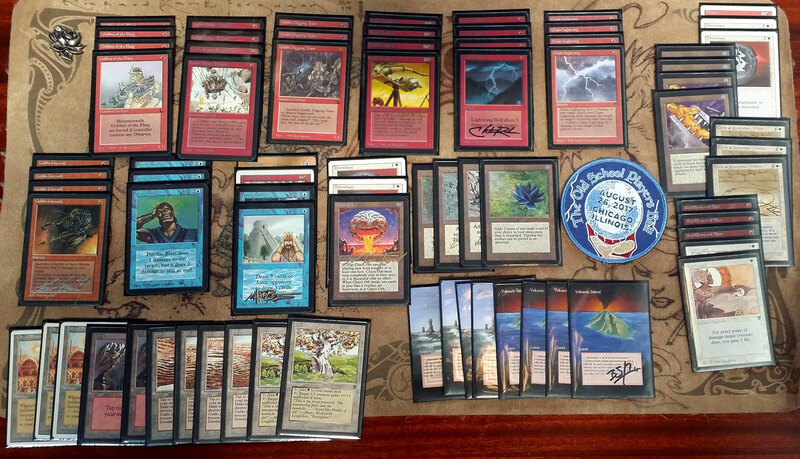 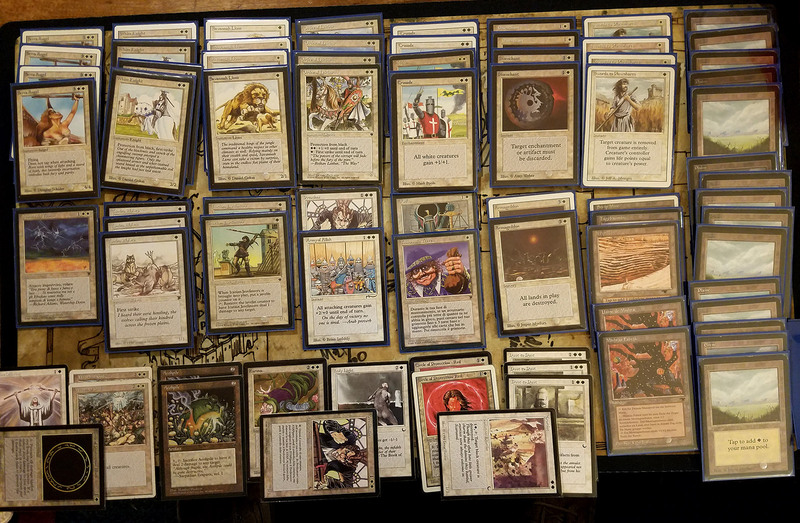 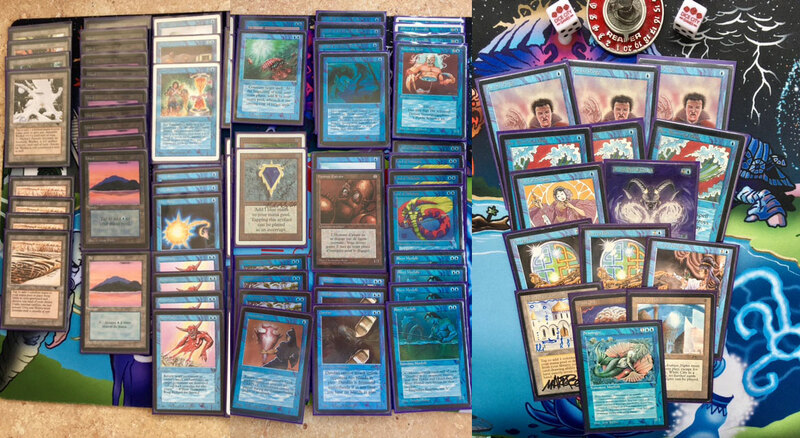 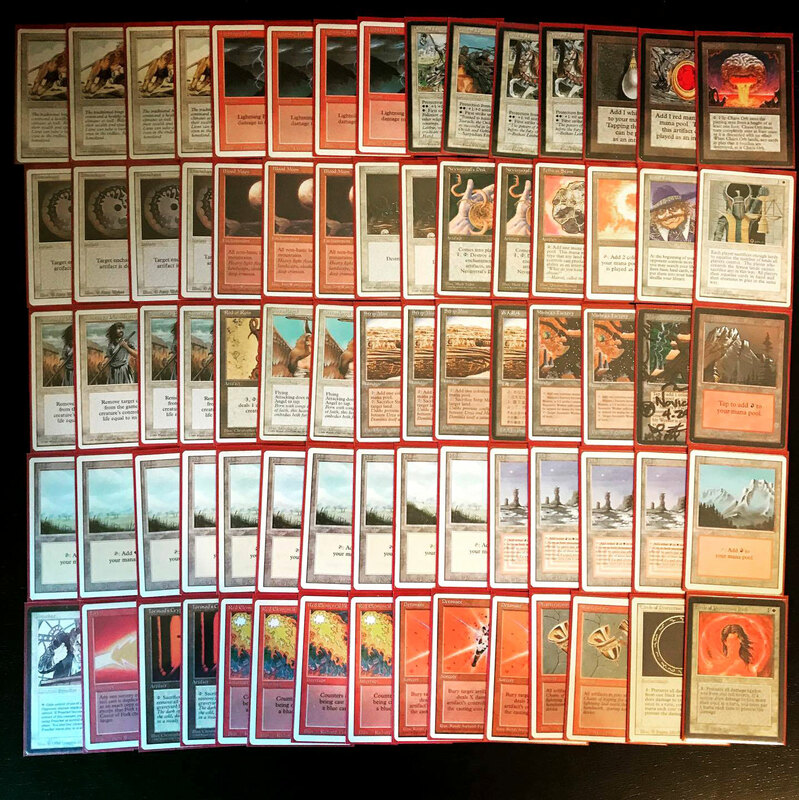 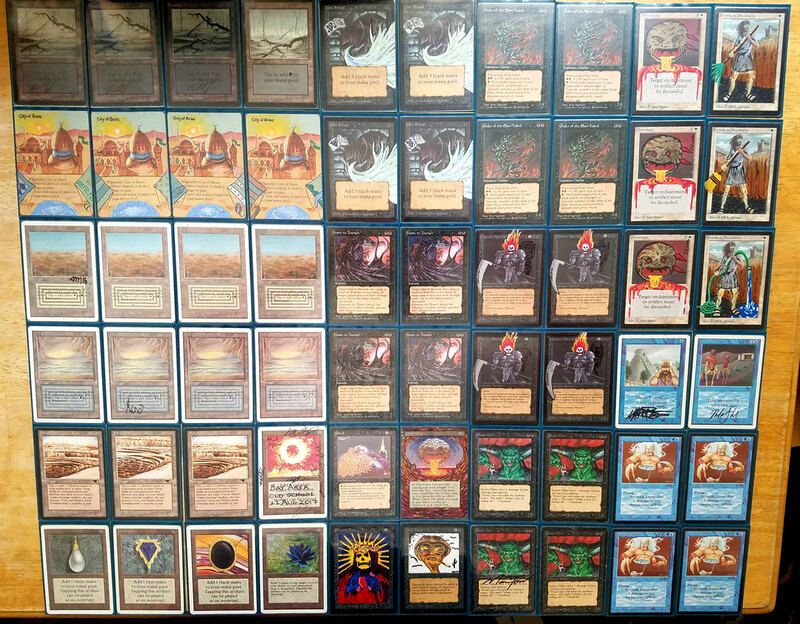 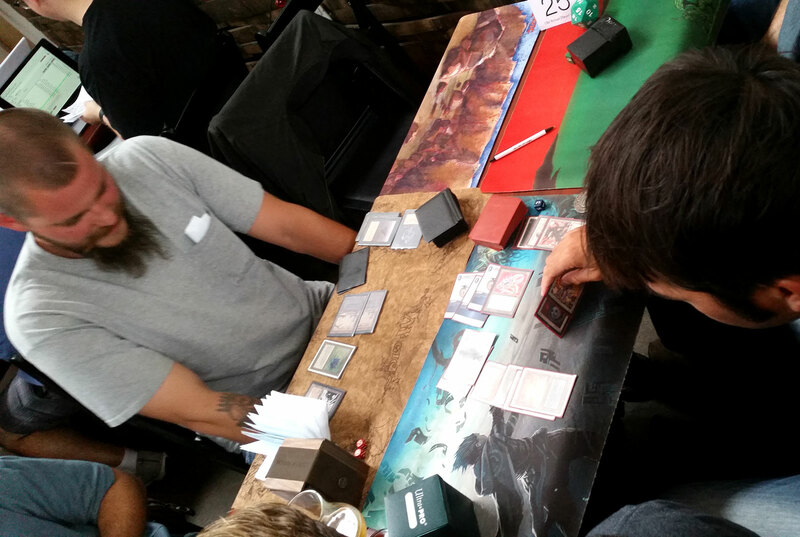 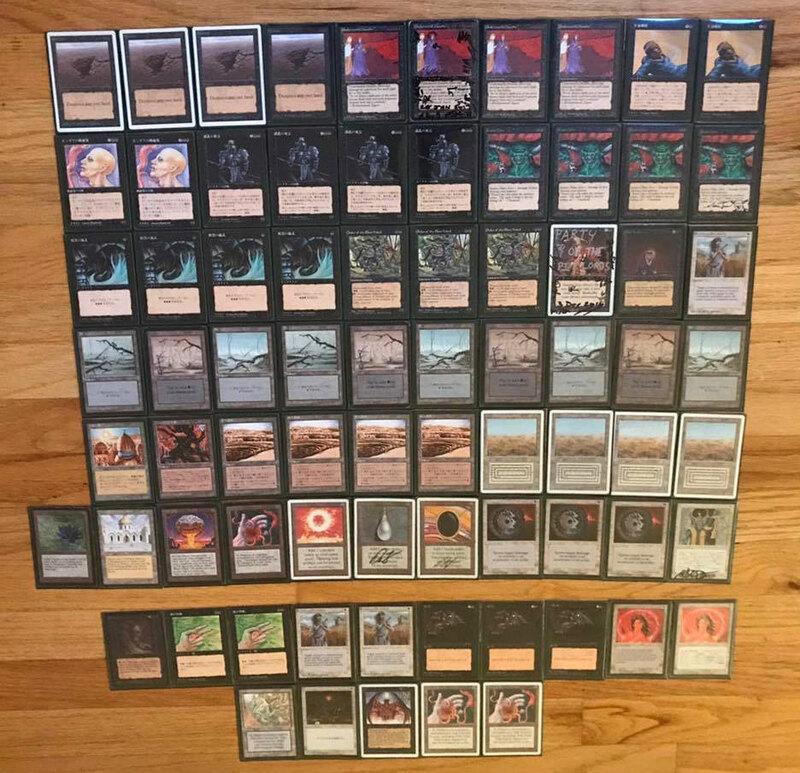 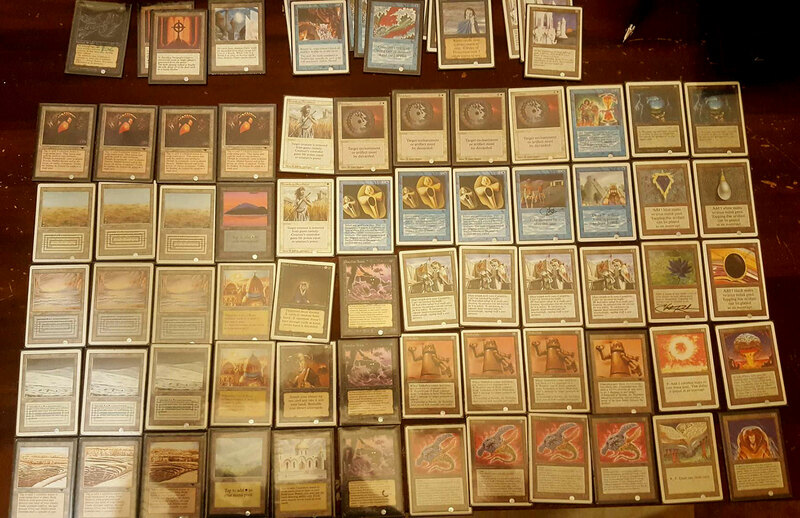 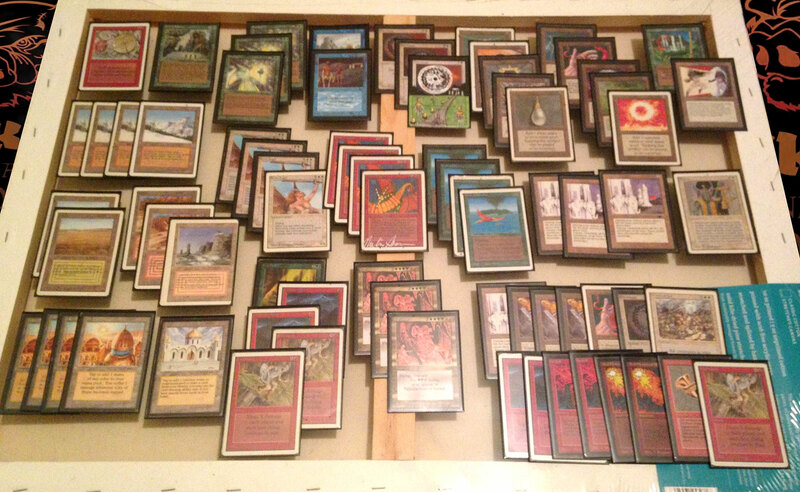 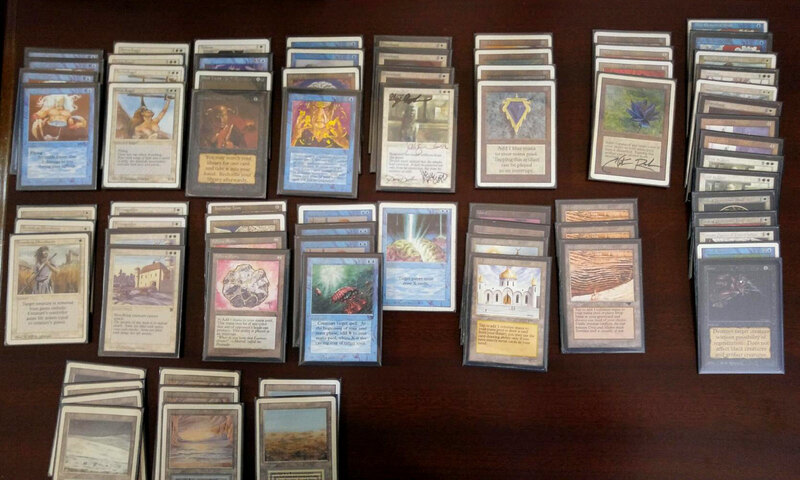 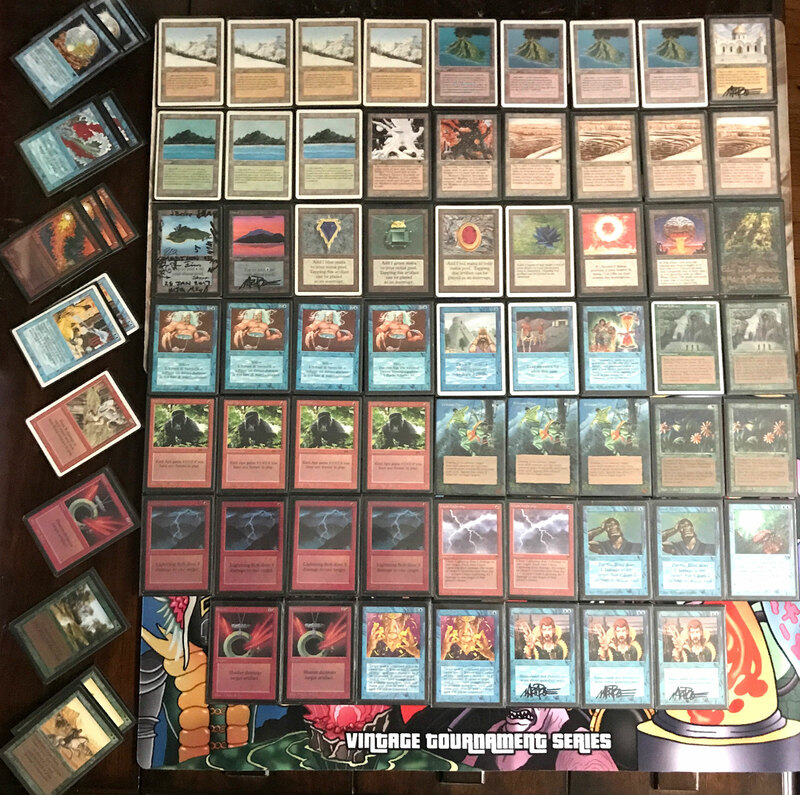 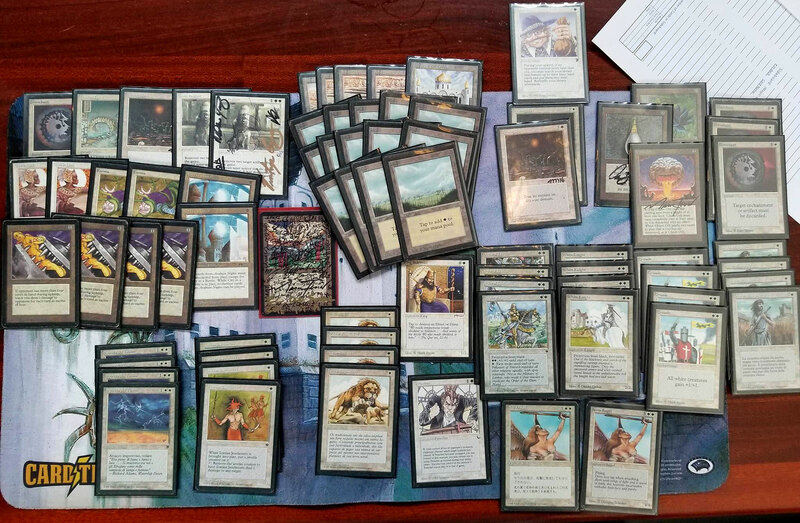 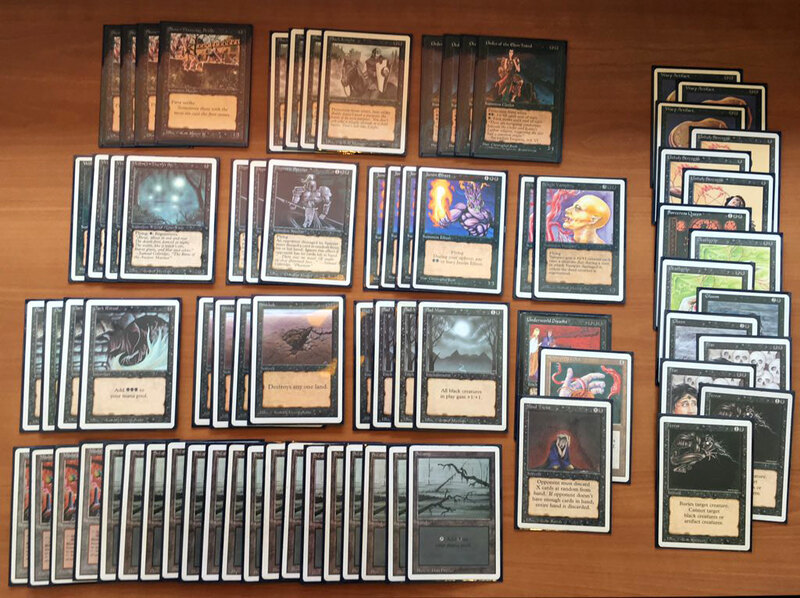 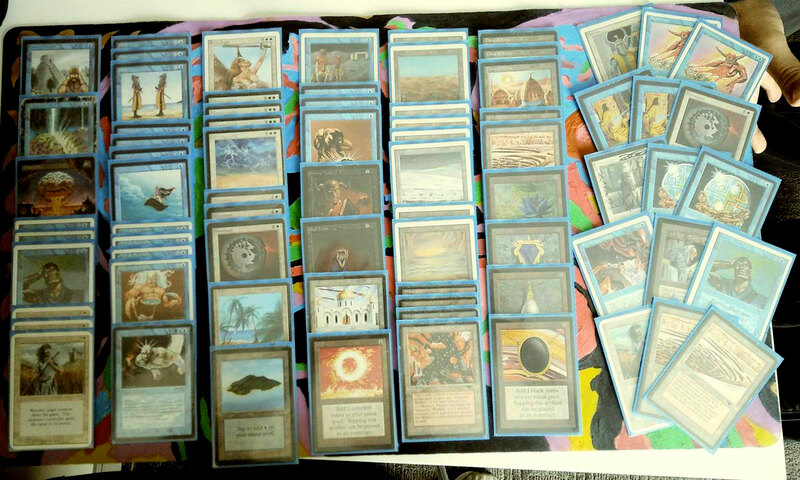 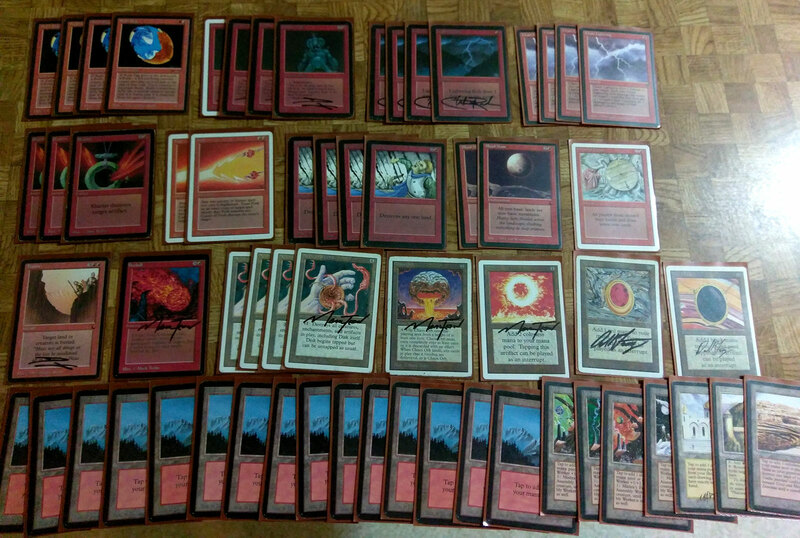 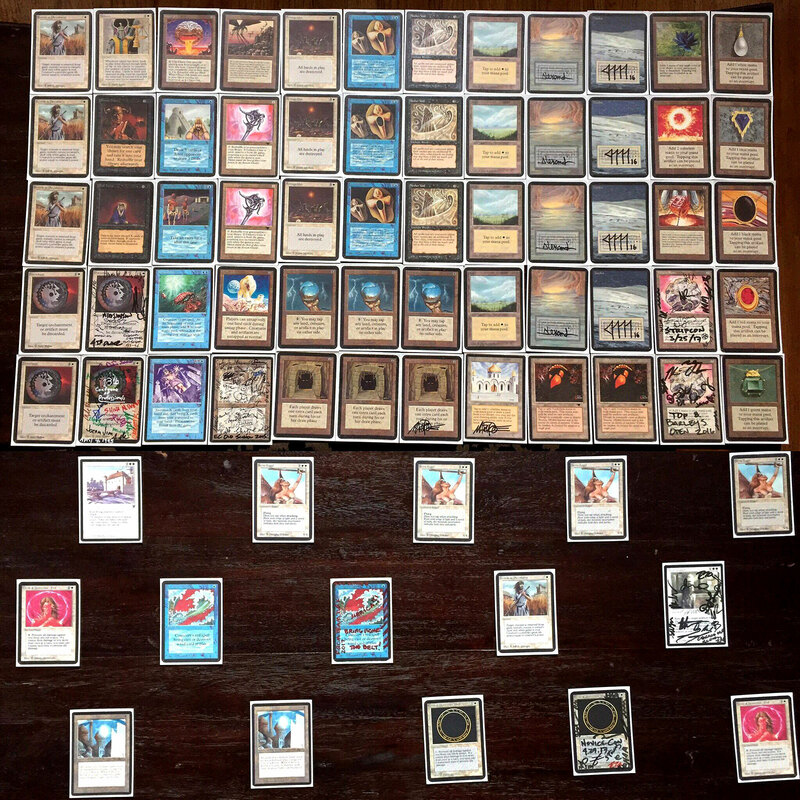 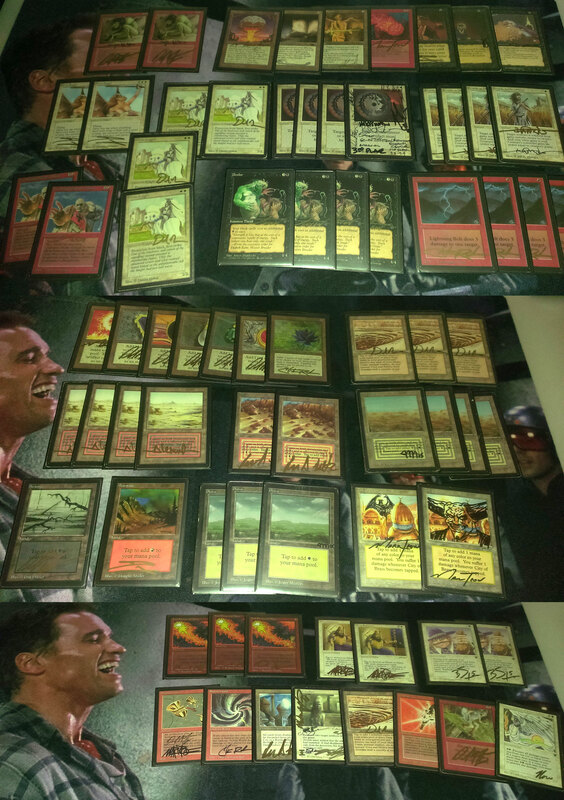 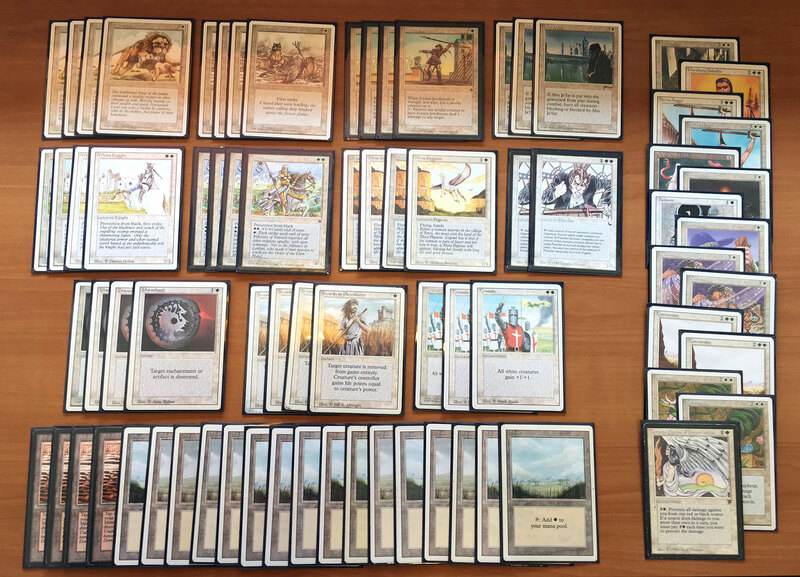 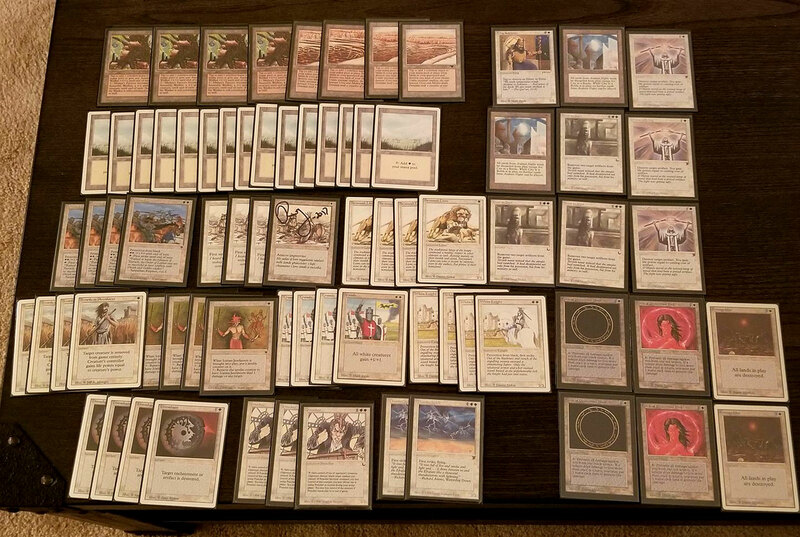 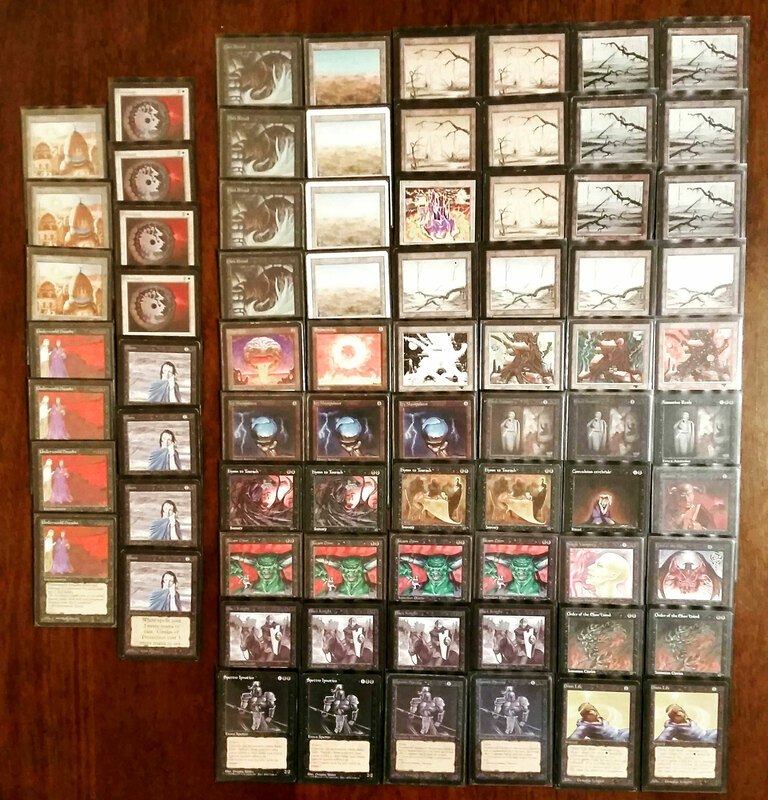 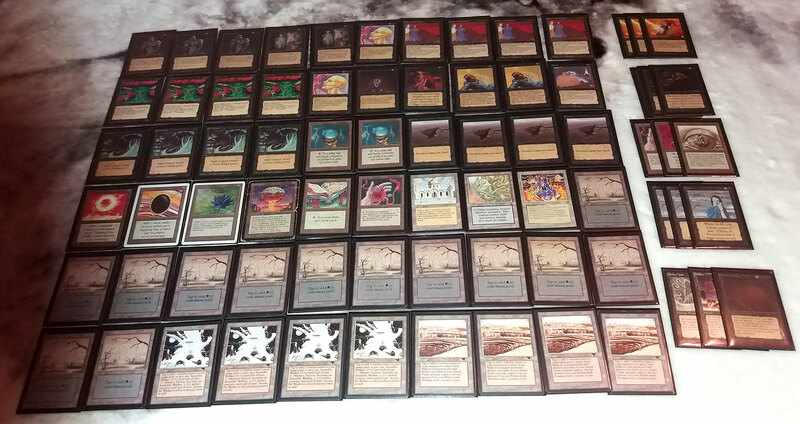 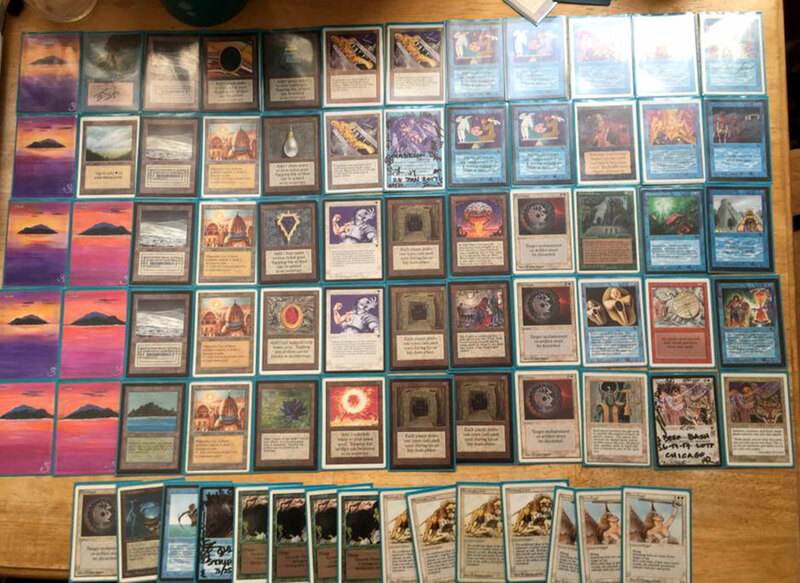 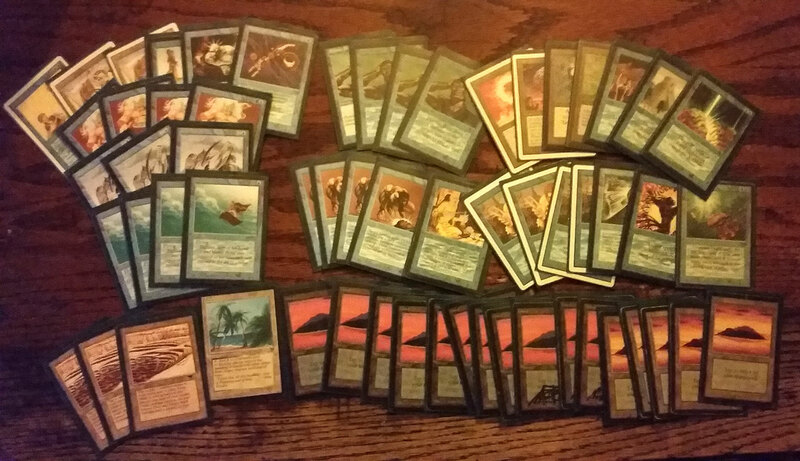 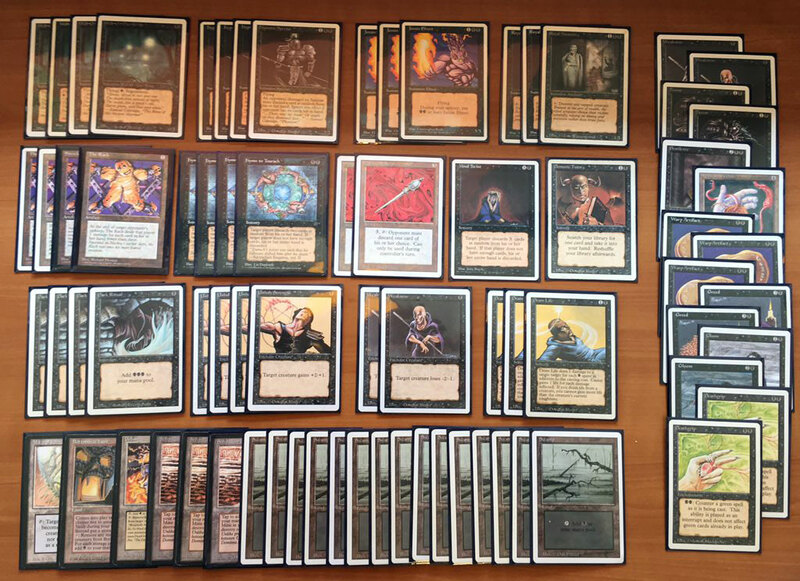 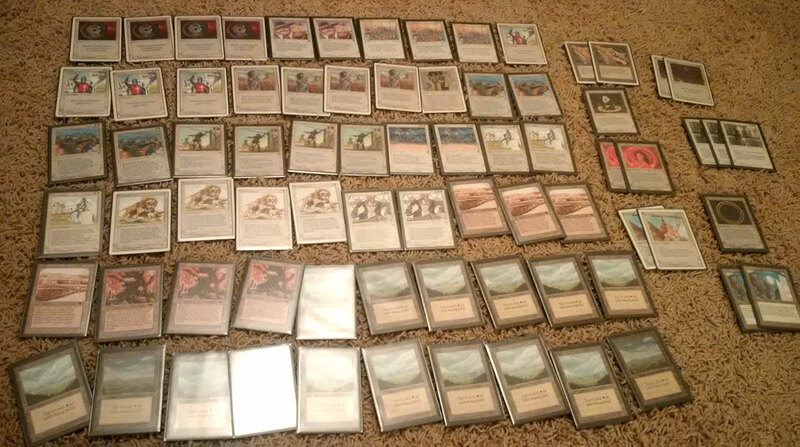 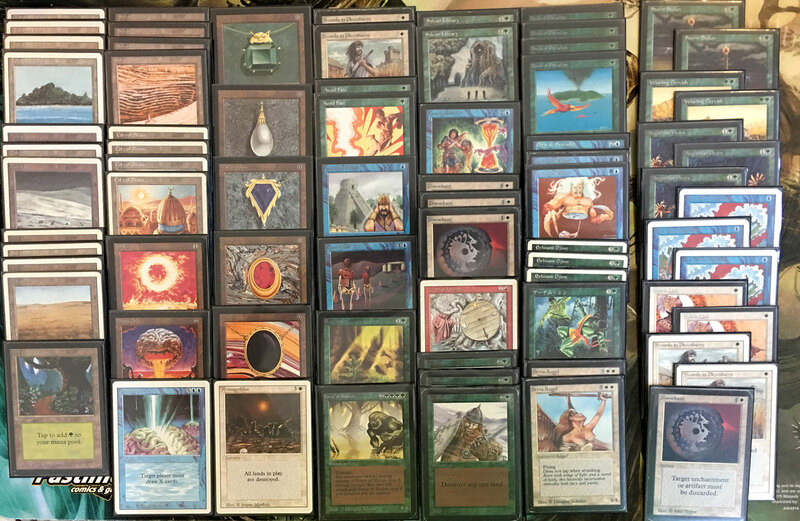 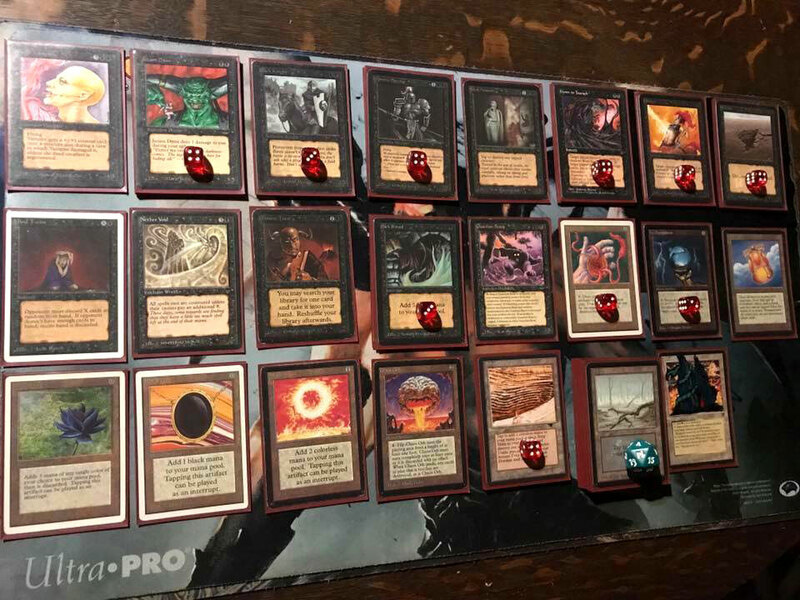 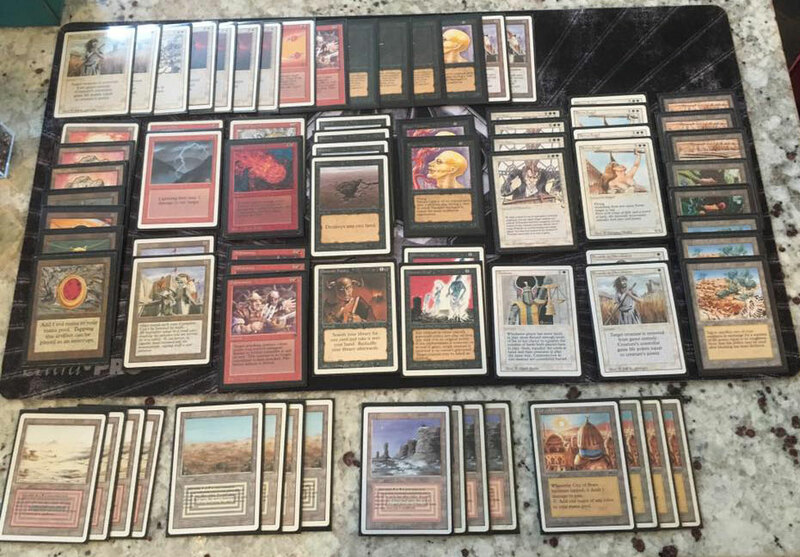 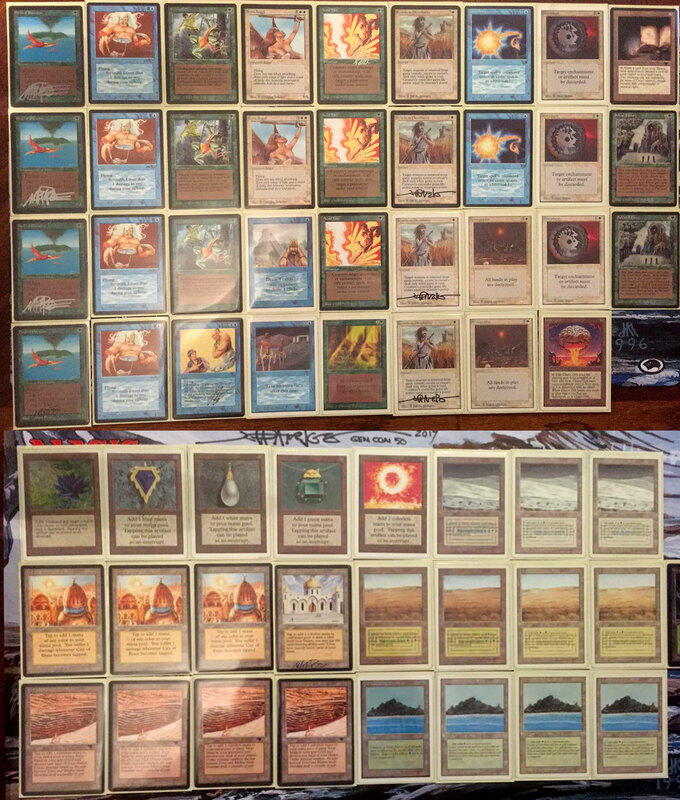 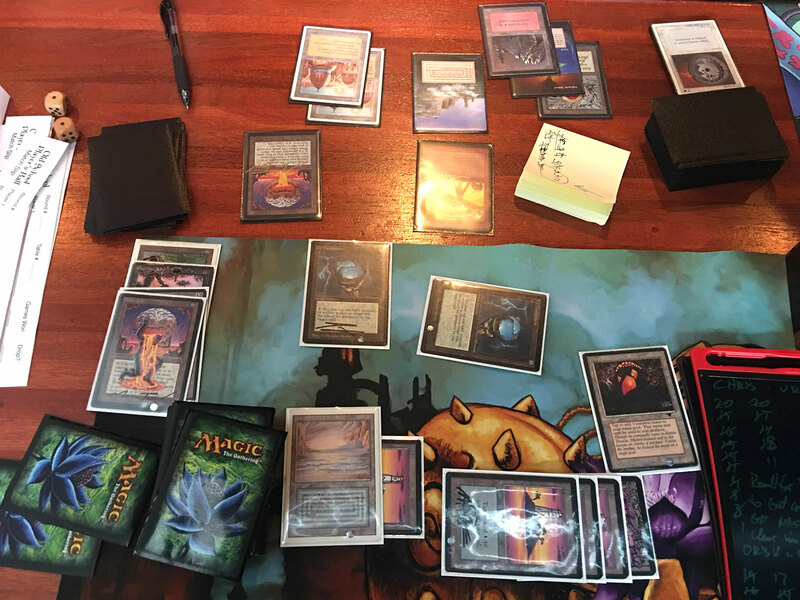 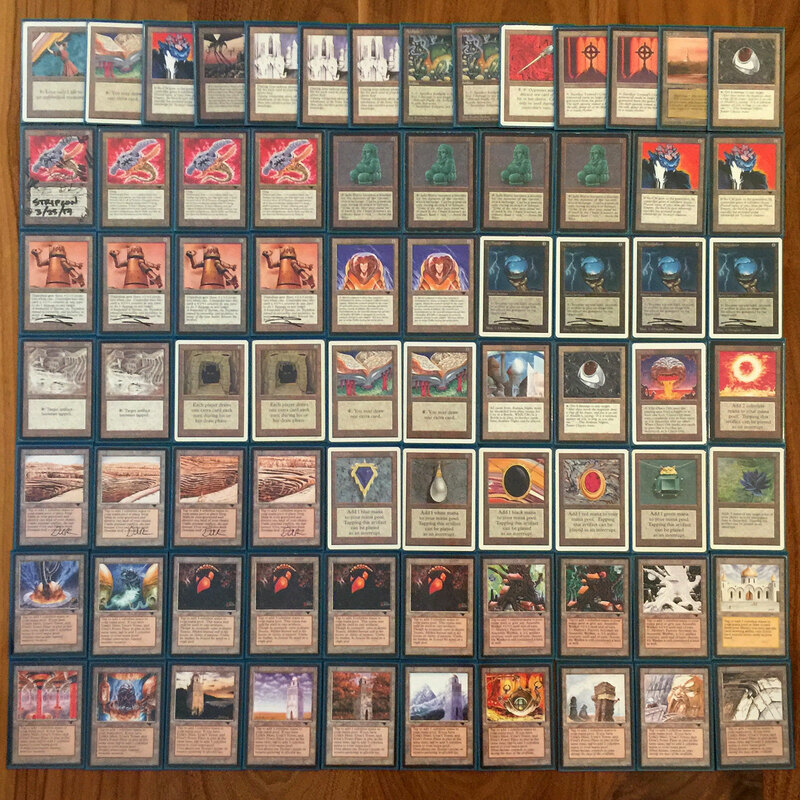 While there were a few copies of UR Control and other UWx Control variants present, there were notably zero copies of The Deck, as people took the time to design things that were far more interesting or fun, as you’ll no doubt discover in the deck pictures section below. 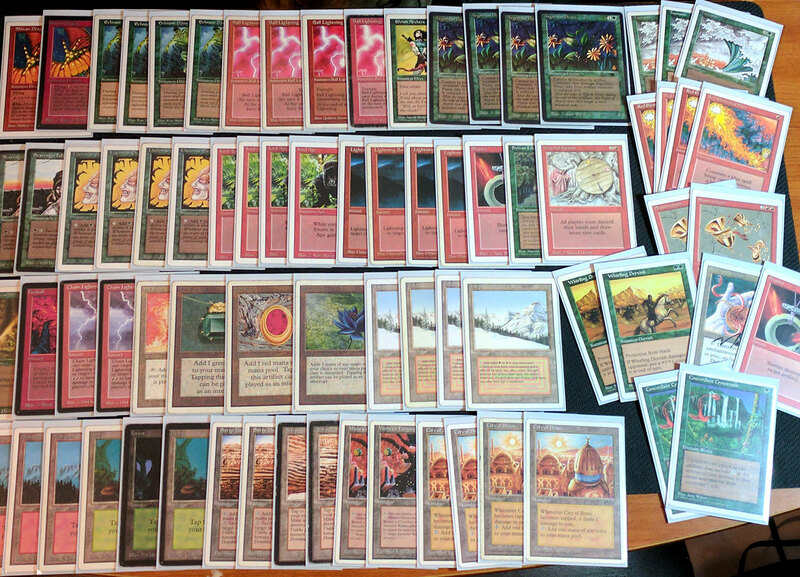 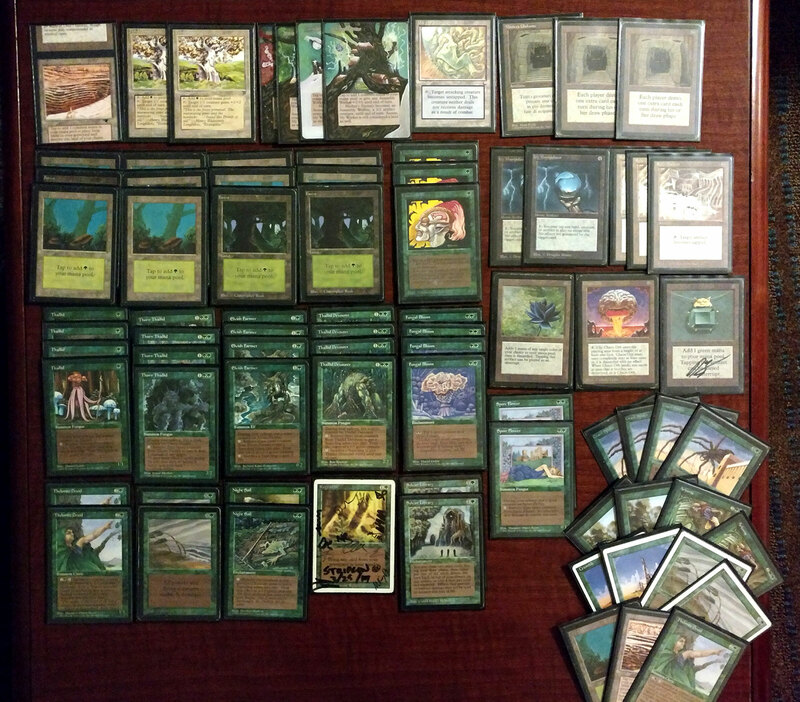 There is everything from Eureka to Diamond Valley to Titania’s Song to Living Plane Control to very aggressive Zoo decks. 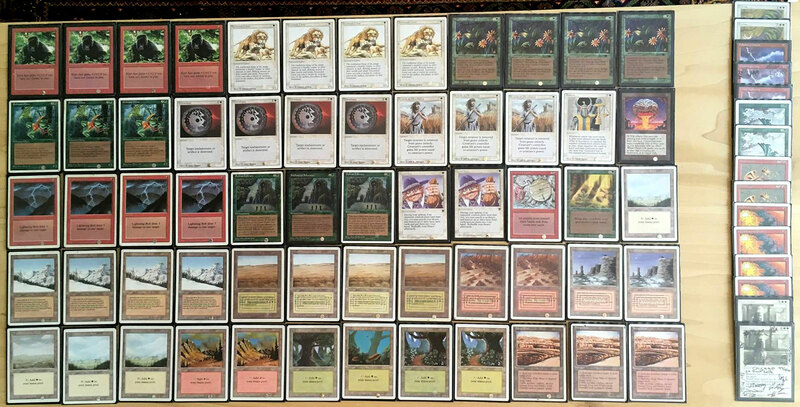 The field was fairly creature-heavy and aggressive overall, with lots of interactivity in games. 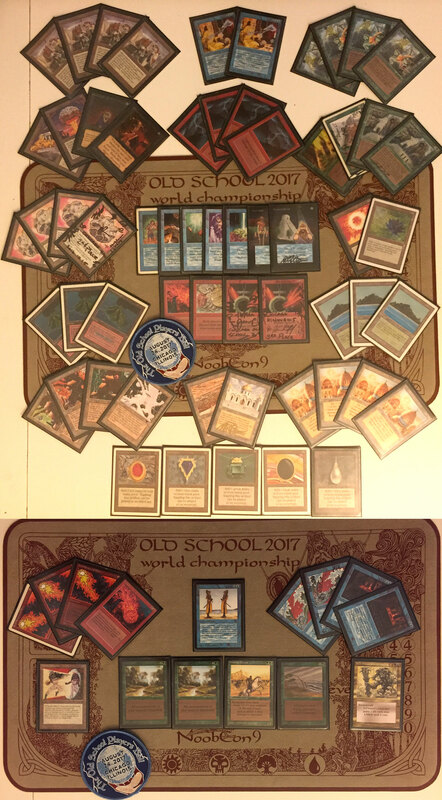 The hashtag for social media for the event was #OldSchoolPlayersBall, which you can use to find more on Twitter, Instagram, etc. 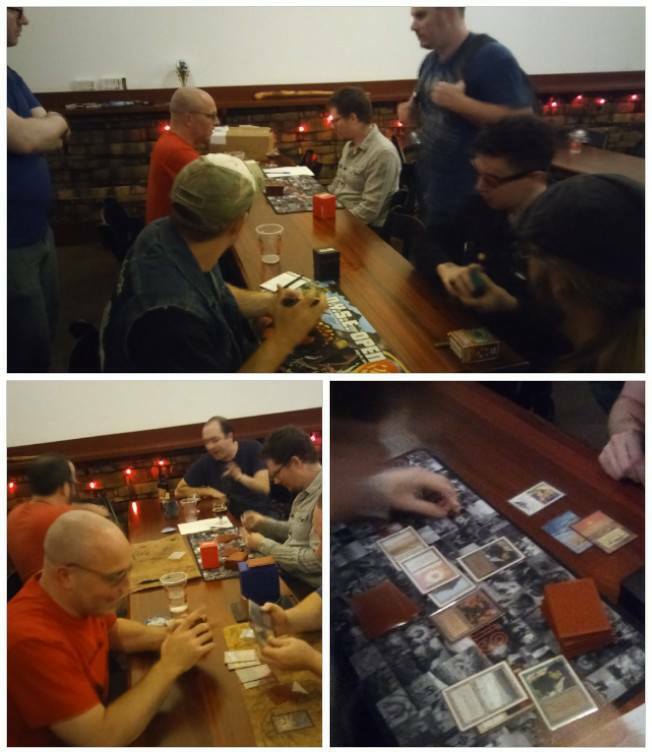 Thank you to everybody who came out to play, and we hope to see you again soon. 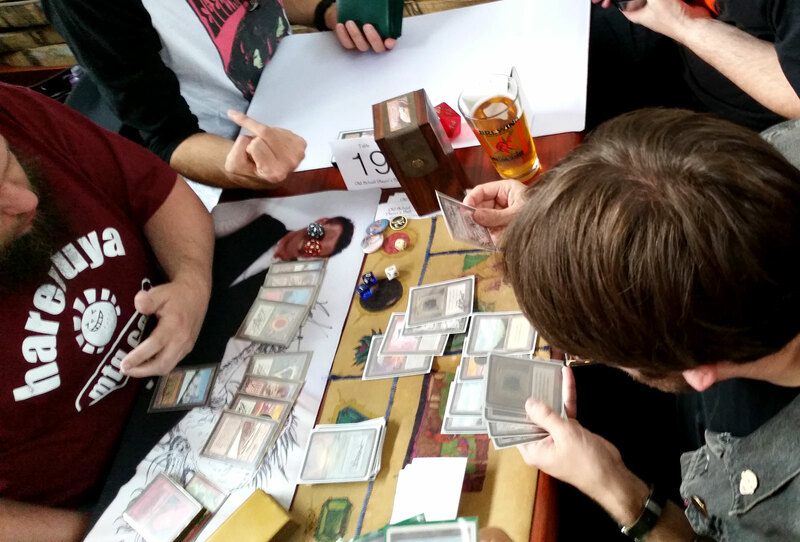 As we move forward experimenting with more changes we hope to make each event more unique and fun. 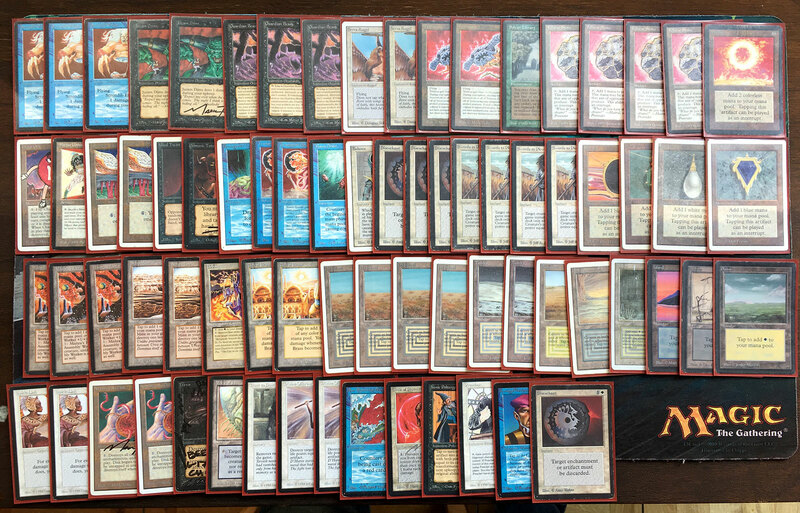 For any corrections, comments, or follow up, please email jaco@eternalcentral.com. 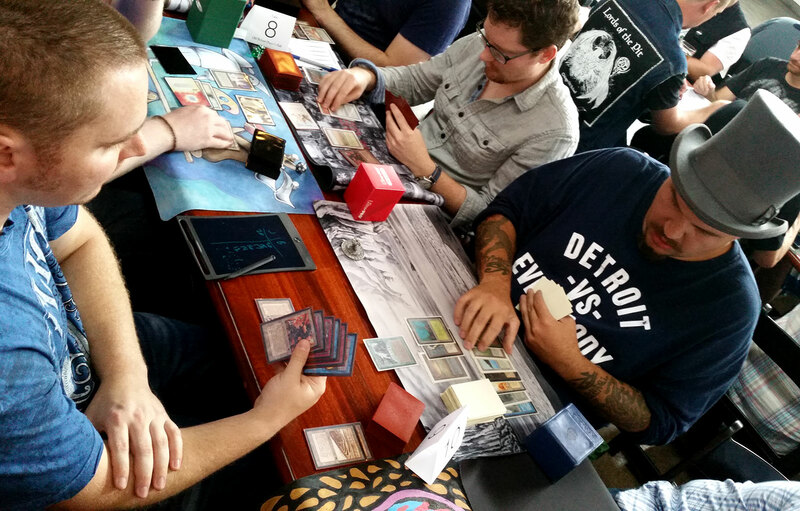 Below are just some of the sweet action and community pics from the day.